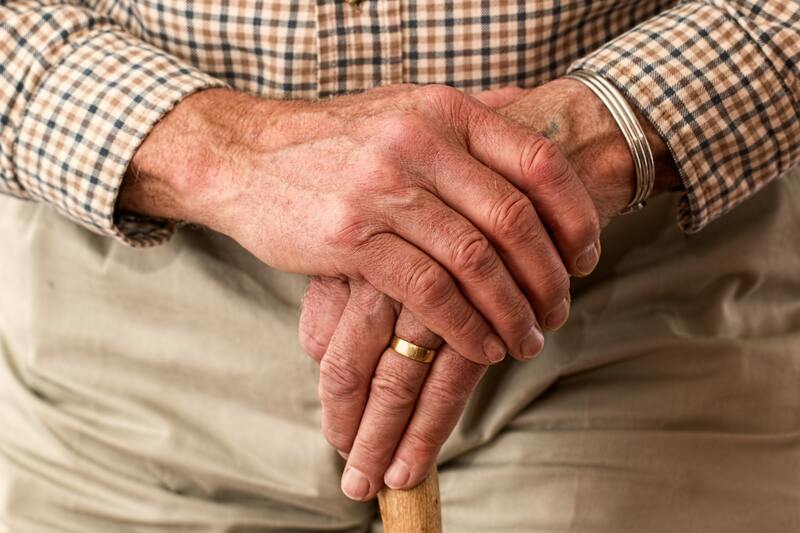 The link between diet and Parkinson’s disease? Parkinson’s disease (PD) is a degenerative neurological disorder and chances are you know someone who is affected as over 100,000 Canadians are living with PD.1 The causes aren’t fully known, but the disease develops when the brain does not produce enough dopamine (a neurotransmitter that helps control body movements). Without enough dopamine, movement is compromised and people experience tremors, stiffness, slow movement, and/or a lack of balance or coordination. This disease is very complex and is likely caused by a combination of genetic and environmental factors. Nutritionally, there are a few things that can be done to ease symptoms or help prevent neurological problems from occurring. Research shows that those who do not have enough intake of omega-3’s are at a greater risk of developing Parkinson’s. Interestingly, this relationship is even stronger when someone is low in omega-3’s and is also exposed to pesticides, suggesting the omega’s may provide a neuroprotective benefit. 2 Omega-3’s are known as our anti-inflammatory fats and many are incorporated into the structure of the brain. Our best sources of omega 3’s in the diet are from fatty fish such as salmon, mackerel and herring. Plant sources also include flax and chia seeds, although the body’s conversion to an active form is quite low. Known for its role in bone health and helping to absorb calcium, this vitamin (that’s really more like a hormone) also has a role in brain health, although it’s not yet fully understood. We know that deficiency is common among people with PD and some studies have suggested that higher levels of Vitamin D may offer a protective effect against development of PD. 3 Vitamin D comes from the sun, or from cod liver oil, salmon or tuna. In general, the best neuroprotective diet is one consisting of mostly whole foods, and rich in fruits, vegetables, whole grains and healthy fats. Stay tuned for more research in the area of Parkinson’s prevention and treatment using a dietary approach. I anticipate the link to gut health will be especially important in the future! 1. UCB. Parkinson’s Disease. https://www.ucb-canada.ca/en/Patients/Conditions/Parkinson- s- Disease. Published 2018. 3. Parkinson’s Disease.net. Vitamin D deficiency and Parkinson’s. https://parkinsonsdisease.net/living-with- pd/vitamin-d- deficiency-risk- link/. Published 2017. 5. Long S, Romani AMP. Role of cellular magnesium in human diseases. Austin J Nutr Food Sci. 2014. 2(10): 1051.